In 1964 Jimmy Layman started Jimmy Layman Const. Co. and House Moving in Parrottsville Tennessee. 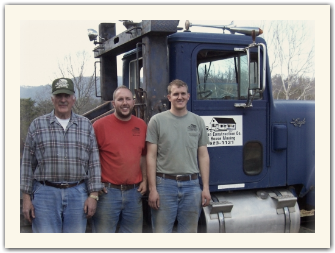 His two sons, Scott Layman and Jonathan Layman, helped Jimmy during their free time ever since they were big enough to lift a cribbing block. After Scott and Jonathan graduated from high school, they both immediately started working for the company full time. Working closely in the field with Dad, they gained valuable experience doing all types of structural moves.By 2001, the name was changed to Layman Const. Co. and House Moving. All three share a common passion for doing the job as efficiently and safely as possible using only the best in moving equipment.